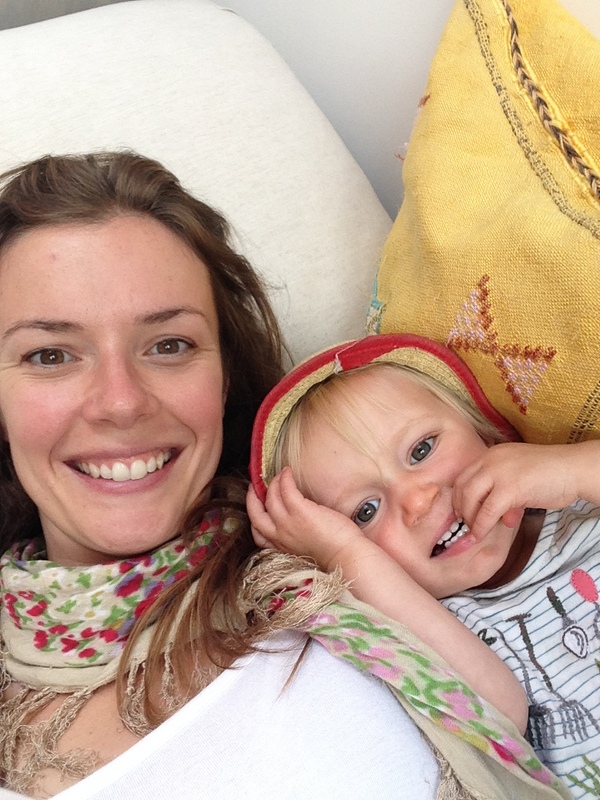 This week…Antonia Edwards, founder of Little Blue House, and mother of one. 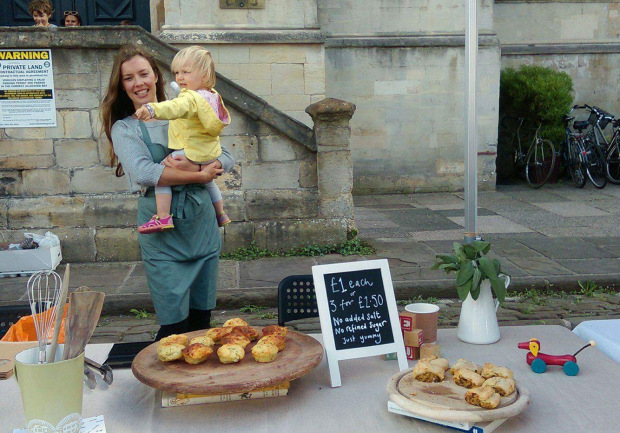 Antonia Edwards is the founder of Little Blue House, a home bakery based in Bristol, that supplies cafes, shops and local families with deliciously tasty and healthy snacks for small children. 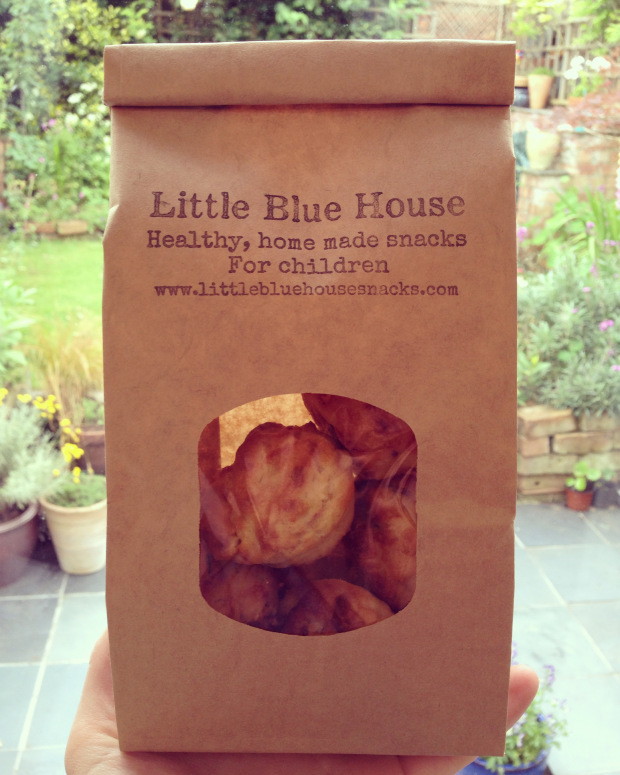 Little Blue House snacks are made using wholesome ingredients without the addition of any salt or refined sugar. The recipes rely on the natural sweetness and taste found in ingredients and are packed full of flavour and goodness. She blogs about family life and the business here. My Little Munchkin is fascinating and hilarious in equal measure. Before you spend a lot of time with a toddler you never realise what a range of emotions and what a surprisingly deep understanding of what’s going on around them they have. Even though I spend most of my time with her, I am often surprised at what she can say and do; what she notices and the rate at which she is developing. No one ever tells you that… well there are some things that happen to you during and after giving birth that people don’t really tend to disclose. I think it’s probably better that way! I couldn’t have survived the first 3 months without my mum. My husband travels for work and had to go away for a month when my daughter was two weeks old and then again for a month two weeks after he got back. My mum came to stay while he was abroad. Having her there enabled me to calmly focus on getting to know my baby and work out how to be a mother myself. I was learning from the best! It was Spring and we had some beautiful weather, we just sat in the garden or went for walks, life was very slow and very peaceful. It was a really special time. Birth was…not the way I had wanted it to be. I was hoping for a completely natural birth and was excited about having my baby in the amazing midwife led unit in St Michaels, Bristol. However, my daughter decided that she was happy where she was and two weeks after the due date I finally gave in to being induced. When you’re induced you need to be closely monitored so sadly you can’t have your baby in the MLU (goodbye fairy lights and hot tub!). Mums who are able to have a completely natural birth are lucky and actually I don’t know many of them! You have high hopes for your own experience but what I learnt at the end of it all was that the most important thing is meeting your baby for the first time. Then, really, nothing else matters. I wish I’d known before that…sometimes babies just won’t go to go to sleep. And that’s the end of it! There’s no magic solution, except time. You just have to find a way to survive until it gets a bit better. It used to drive me mad when people said… ‘try putting her down when she’s drowsy but not asleep yet’. AGH! The best present anyone ever gave me was…a meal they had cooked for me, particularly when Raz was away. It’s such a treat not to have to think about cooking for yourself on top of everything else and home-cooked is always so much nicer than ready meals. Our first holiday was…when Niamh was three months old. We went to Portugal to stay in a house with my mum, my sisters and their children. Travelling with babies at that age is easier than you might imagine, they just sleep through most of it! The most important thing I’ve learnt is…that time passes more quickly than you think, so you should savour all the good bits while you can. It’s such a cliché but they grow up very quickly so you have to make the most of it. Even when you’re sleep deprived. I worry about…Trump and Farage, and what their rise signifies. What started as something seemingly so farcical seems to be developing into something quite frightening. I wish…I could gather all of my closest friends and family and we could all live in a lovely place by the sea and pop over to each other’s houses every day for cups of tea and a natter. Motherhood is…just like normal life but with something attached to your leg a lot of the time. Work is…important to me. I like to say that I would prefer to retire and spend every day doing the gardening but actually by the end of my maternity leave I was ready to start involving myself in something different. I feel that it’s important to have your own interests, your own challenges and to maintain a life beyond your immediate family. I think that’s a healthy thing. It was very hard to put my daughter into childcare for two days at the start (I have a part time job as well as running the snack business) but she loves it now… I think sometimes more than being at home with me! I want my children to know that…anything is possible if they work hard enough at it. And not to stop at failure, as it is an essential part of learning.